This one is for John as I know he likes muscle cars too. What a contrast. Both are beautiful cars. 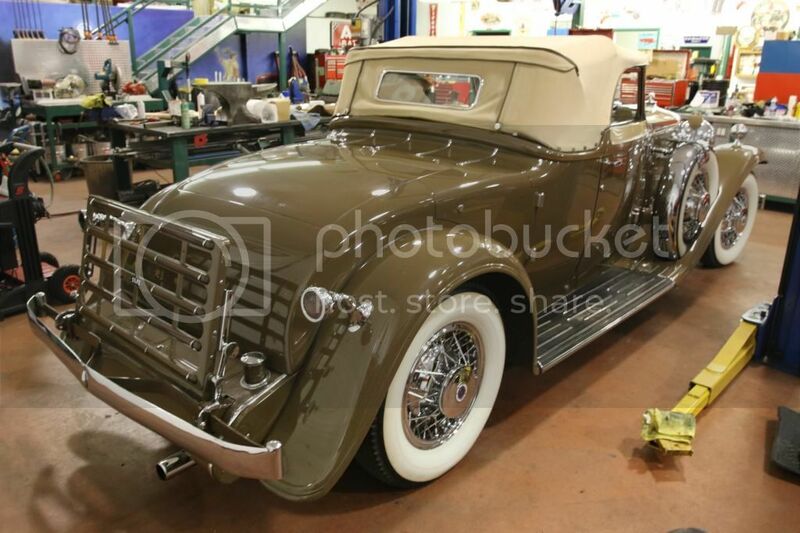 Here is one for those of you that like unrestored (in this case really really unrestored) cars. I really do like survivor cars. They really help to tell history. I agonized over buying this when it first came up for sale 3 years ago. The problem for me was the short time interval. It was selling and it I needed to decide within a few days which I really never feel comfortable with. It is very cool. I guess I would paint it but leave everything else original. It is interesting to compare to the Dietrich sedan. I think the Dietrich is better looking but the DOHC Stutz engine is really something. That stutz looked like a nice car. I love original cars. I have the DV32 in a 33 Boattail and a 32 Derham bodied cabriolet. The boattail is a very fast and fun car to drive. I would say it is more powerful than my Duesenberg. 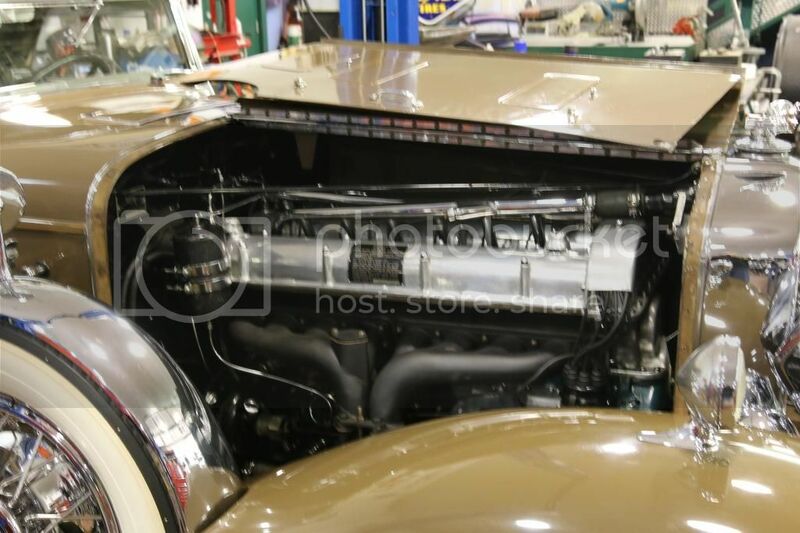 I am sure the weight of the big Dual cowl body on the Duesenberg plays a big part of that. 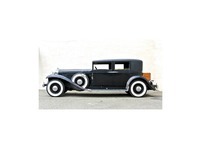 I would recomend any one looking for a full classic with a sports car feel to look at the Stutz DV32. Is your Derham the red one? No it is a Brown that I feel has a bit of Green in it. Older Restoration and the paint is looking Thin in a couple of spots like some one got to happy on a polisher. 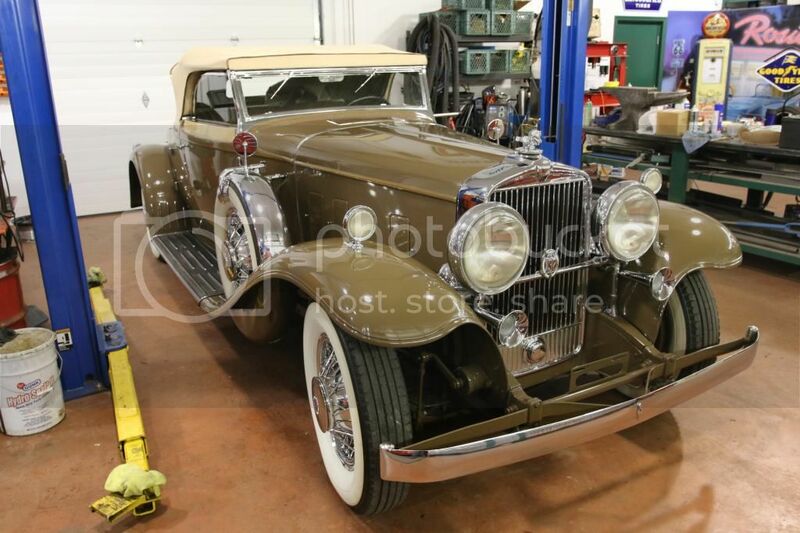 How is your Stutz Special coming? Slow but steady. The Royale is temporarily putting a crimp in my budget. Btw, is that the same car that was on the cover of the CCCA mag about 40 years ago?